If you don’t follow me on Twitter or Facebook, I mentioned that I wanted to start calling LLL fans/supporters “Little Lattes!” It was funny because Lisa and Bella laughed at me! But I think it’s clever, eh? Don’t cha think? 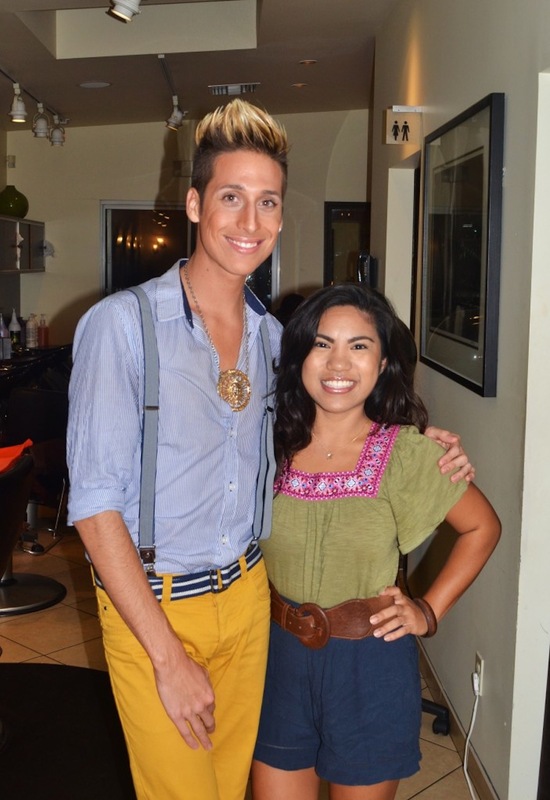 Taking a picture with Anthony Pazos from LA Hair Reality Show on We TV. Isn’t he gorg? I was influenced to wear something not so bright, yet comfy with mini wedge booties, while slowly transitioning into the fall season. I almost wore tights with the ‘fit, but it didn’t seem that quite cold yet to rock. The look still looked cool without the tights and was happy with the end look. 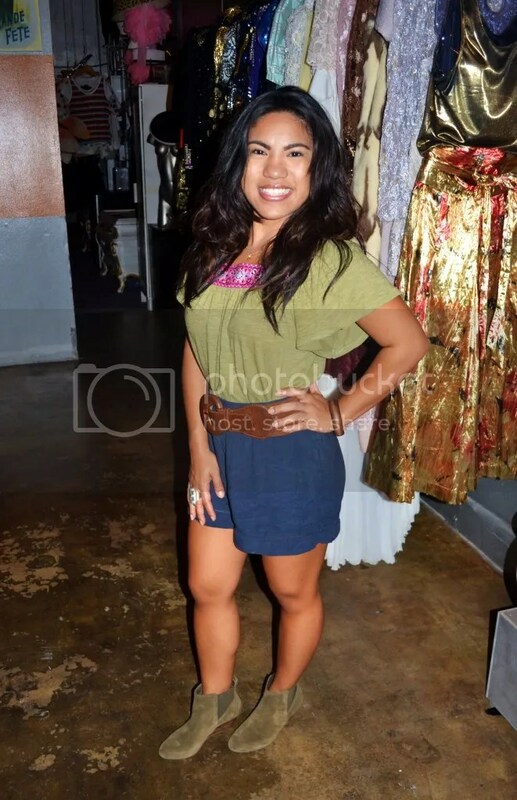 My outfit pictures were taken at Modern Vintage Today on Melrose (4306 Melrose Ave., LA). I also wanted to keep it simple with my makeup and ditched my favorite winged liner. Thanks Bella for the pics! Ps. Kudos if you understood the double meaning in my Article Title (; Comment below if you get what I’m talking about.